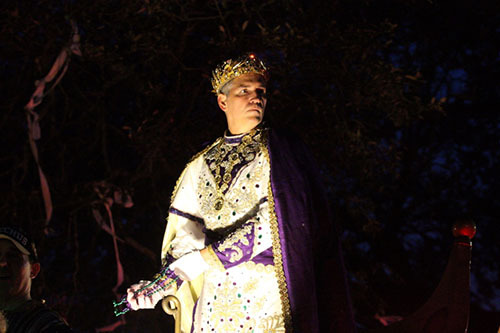 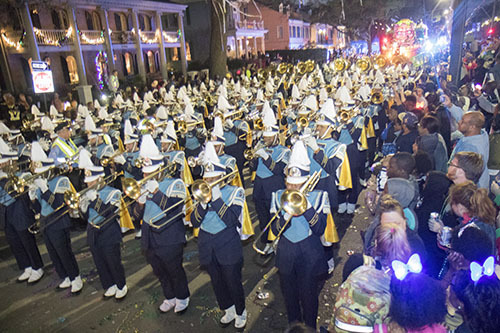 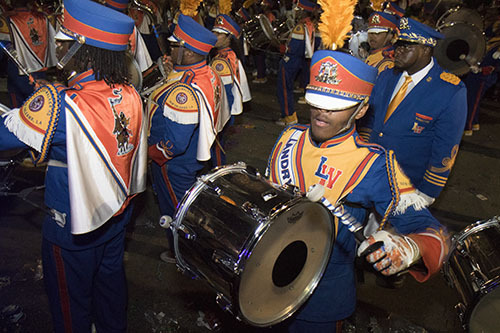 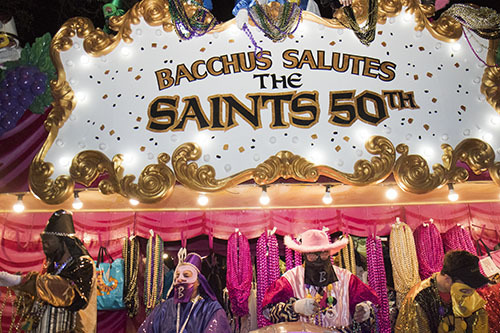 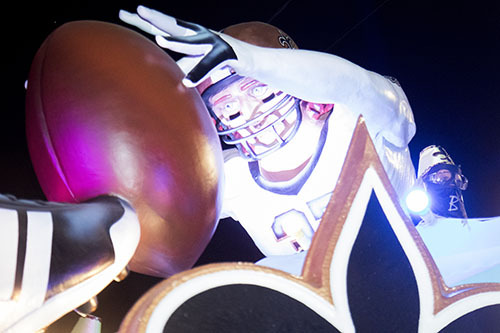 On Sunday, Feb. 26, the Krewe of Bacchus paid homage to the New Orleans Saints, who celebrated their 50th anniversary this season. 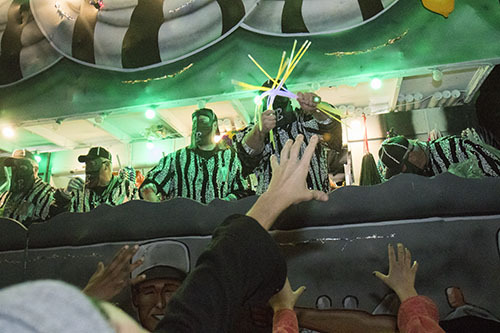 Each float highlighted different aspects of the life of the franchise so far. 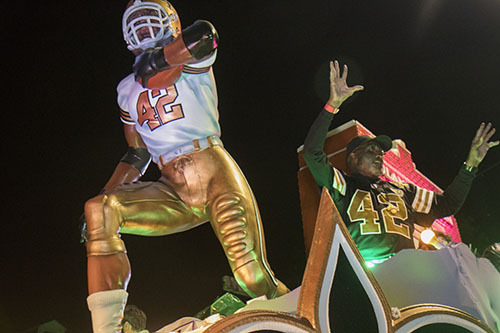 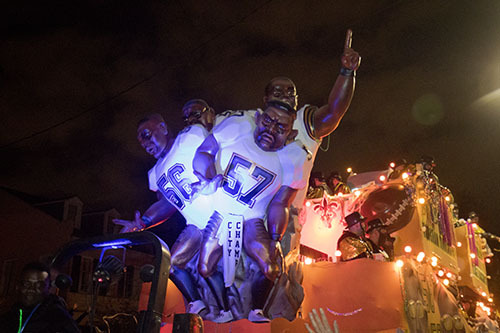 They had a float honoring the team’s first play, which was a kickoff returned for a touchdown by then-rookie wide receiver John Gilliam. 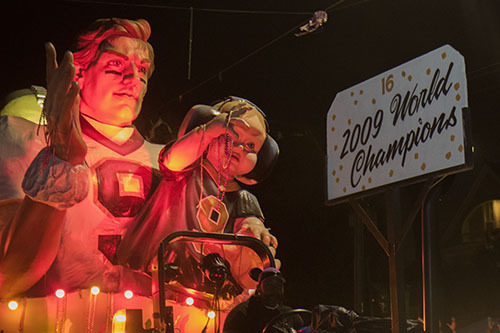 They had a float for their 2009 Super Bowl victory, which was headed by a sculpture of quarterback Drew Brees hoisting his infant son. 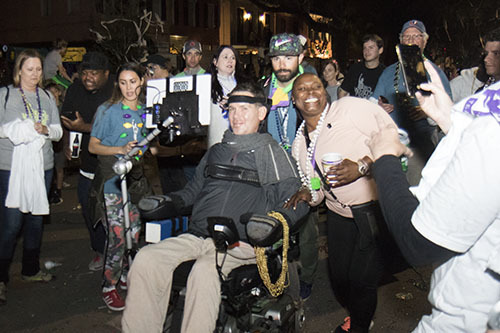 Bacchus also took the opportunity for a pot-shot at the rival Atlanta falcons, who blew a significant lead in this year’s Super Bowl.